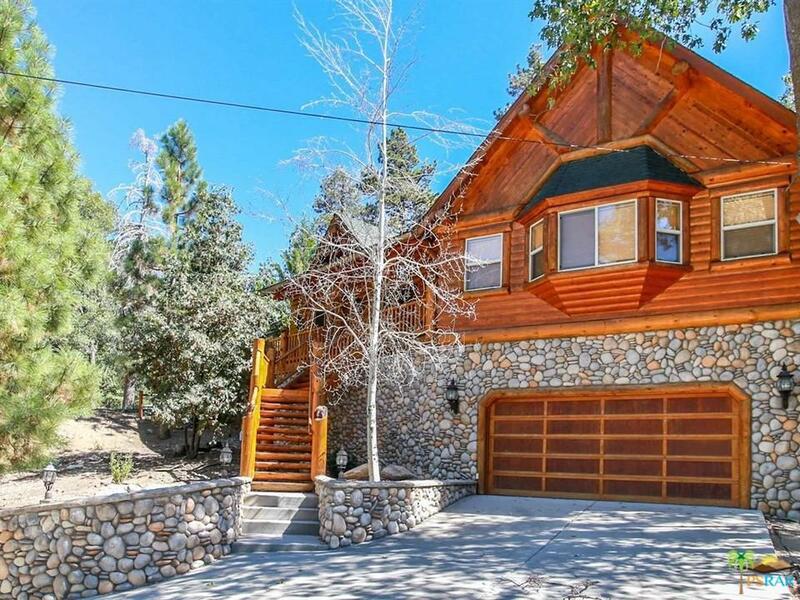 The Ski Slope view is fantastic from this extraordinary log style mountain home ~ and Moonridge is the perfect location for accessibility to the slopes and potential rental income. Designer d~cor and the furnishings are negotiable at the right price! Custom design floor plan with 2302 SF of living space has a separate spa room which leads onto the back deck with ski slope views, 3 bedrooms, 2.5 baths, master suite has a staircase to a loft which makes for a great office or additional sleeping area, 2nd fireplace in the master suit & the laundry area is off the master bedroom closet. 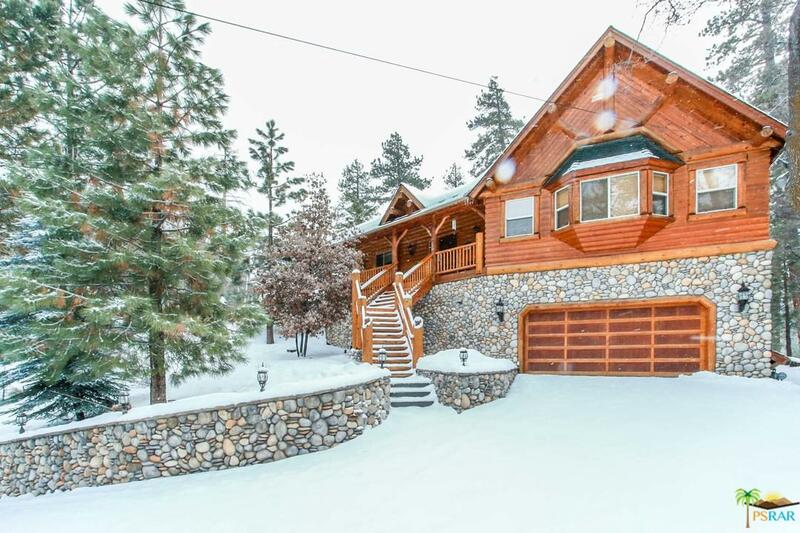 Great room living with vaulted ceilings & warm T & G wood finish - beautiful rock fireplace creates the right setting and feeling for a magnificent mountain home in the pines and oaks. 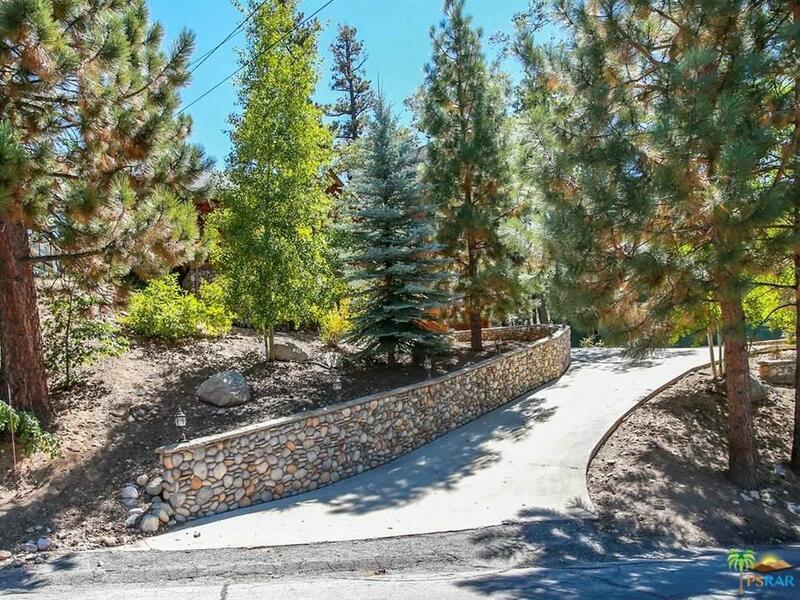 Attached 2-car garage, heated driveway (gas), a beautiful rock retaining wall lines the driveway & easily park 5 cars on a 9045 SF lot. 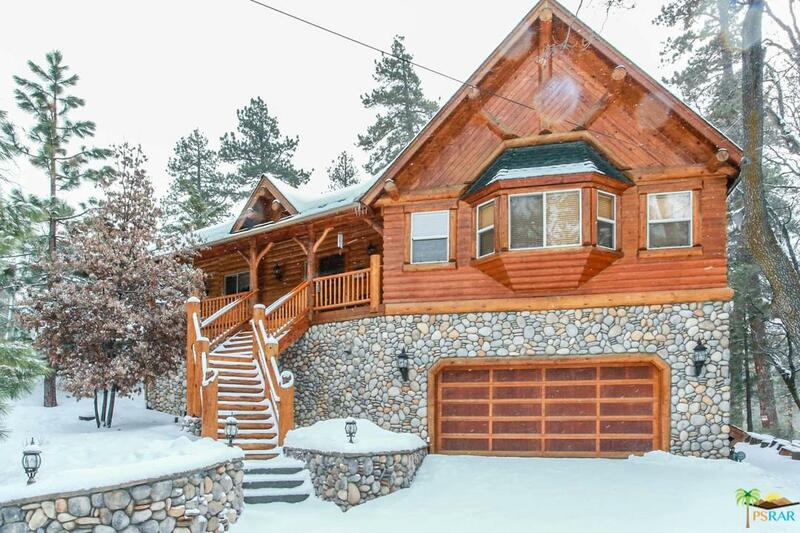 Listing provided courtesy of Cindy Pearson DRE#00628857 of Gilligan Log Homes & Real Esta.